Create a masterpiece with Round Stick Oil Pastels. Each acid-free pastel provides a brilliant color that applies smoothly and blends easily for shades, tints and color mixtures. Fade-resistant, acid-free pastels are resistant to the effects of humidity for longer-lasting drawings. Use dry or wet on paper, board or canvas. Ideal for adults or children at the office, home or school. 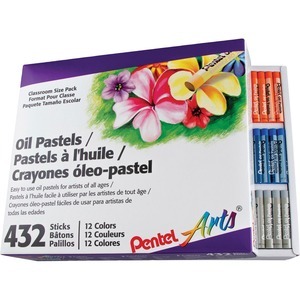 Oil Pastels are certified AP nontoxic by ACMI.